It happened at the Raigmore Interchange where the A9 meets the A96 at around 1.30pm. Police deal with the accident involving a car and a pedestrian at the Raigmore Interchange in Inverness. Picture by Sandy McCook. Several police vehicles and ambulances are in attendance alongside Bear Scotland. 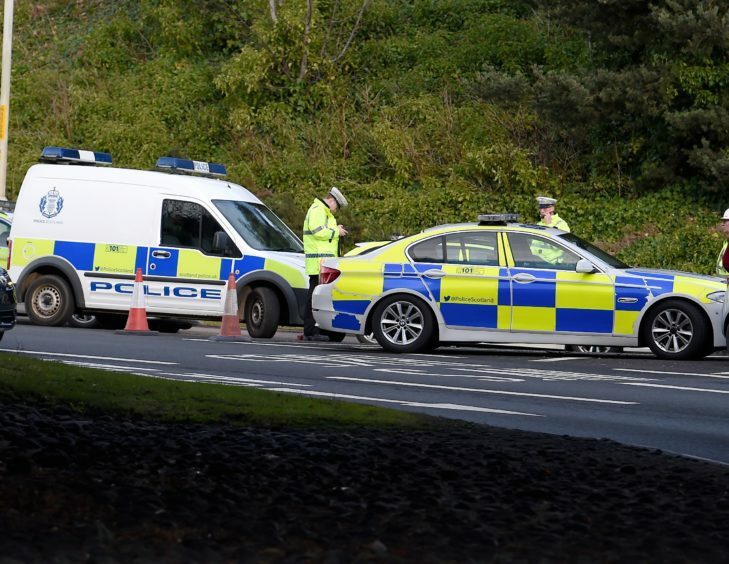 The road was cordoned off around 2.15pm as multiple officers worked at the scene to establish the events leading up to the incident, which involved a Mazda car. Traffic is being diverted northbound to the Longman roundabout.